Jesus said, "Let your light shine." He didn't say, "You know, those of you who got a light you should let it shine and those of you who don't have a light, well you just don't have a light." 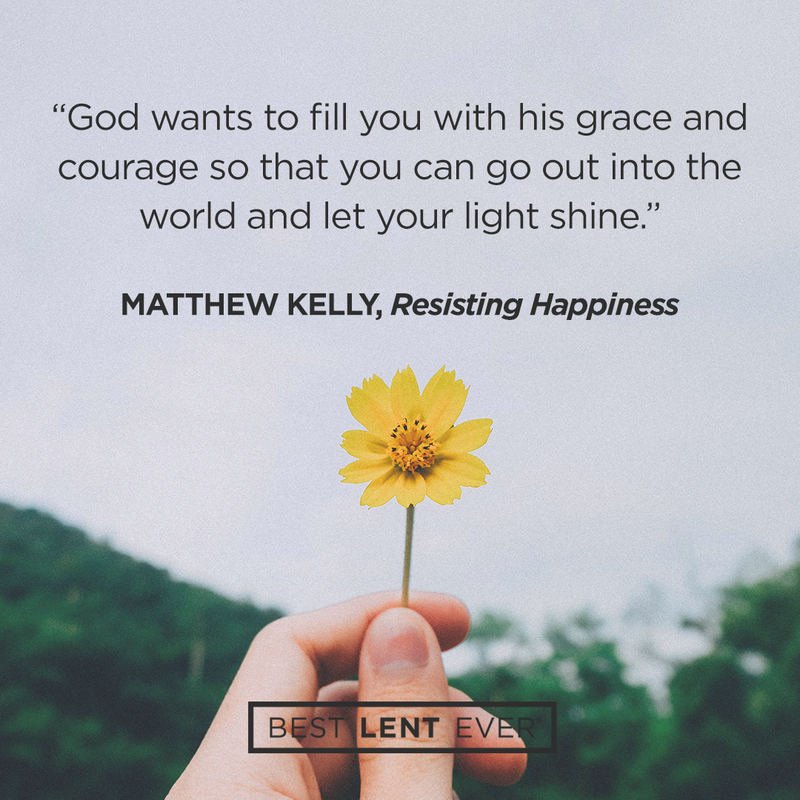 He assumed, he said, "Let your light shine." and he assumed, that we all have a light to shine. And to have this awareness of, OK, when is that light within us really bright and really strong and when is that light dim and weak? And, and what makes it dim? And what makes it strong? And then how are we letting our light shine? OK? Sometimes we are caught up in saying, "OK, well I'm not the best cello player in the world," you know, or, "I'm not, you know, the best basketball player in the world." Or those sorts of things. And I think in a culture of things that are spectacular, you know, we can think, "Well my talents are not spectacular." That wasn't the question. The question wasn't what spectacular talents do you have, or the question wasn't what talents do you have that the world is willing to pay you millions and millions of dollars to display. The question is "What talents do you have?" And here is the clarifying truth when it comes to the conversation about talents. You have the perfect set of talents that you need to fulfill the mission that God has given you. It doesn't matter what talents you don't have. It doesn't matter what talents your brothers and sisters have got, it doesn't matter what talent your parents had that you don't have, it doesn't matter what talents your friends have, that you think are important that you don't have. You have the perfect set of talents that you need to fulfill the mission that God has called you to. It's time to start focusing in on that, it's time to start asking ourselves, "OK. What talent does God want me to focus on at this time in my life?" Because he wants us to let our light shine. He wants us to let our light shine, he wants that light to be strong because he wants our lives to intrigue people. When our lives intrigue people, they get curious about how our light got so strong. And when they get curious about how our light got so strong and bright, then we have an opportunity to, to draw them one step closer to God. And that's Christianity. That's how Christianity has spread across the entire globe for two thousand years. When our lights are strong and bright we intrigue people and they get curious and then we have the incredible privilege, I mean the deep, deep honor of helping them step a little closer to God. You have the perfect personality and talents to fulfill the mission God is entrusting to you. Which of these traits most prevents you from letting your light shine? Fear, laziness, procrastination, selfishness, addiction, obsession, comparing yourself to others, allowing your critics to drain your energy and direct your life, an unwillingness to move beyond your comfort zone, self-doubt, gossip, negative relationships, excuses. Jesus, I want to live my life with joy. Give me the courage to let my light shine, do good works, and give you glory. Today’s personal reflection features Dynamic Catholic team member Emalie Huber. Emalie is our human resource coordinator. She comes to us from Lewiston, Michigan. Emalie is an opera singer, eats gluten free, and loves Downton Abbey.